At what point can an emergent movement look back and claim a history? And what is that history if, over the course of the time chronicled, separate strands have knit together into a whole that was unimagined at the outset? Do the lineages of each become the shared ancestry of what is emerging? These are the opening lines of what is effectively the first written "history" of the movement for integrative health and medicine. I put "history" in quotation marks because what is presented in "Rise," the 68-page e-book freely available via FON Consulting - through an investment from XYMOGEN - is a series of 125 stepping stones. Each is a paragraph or two of text together with a portrait or logo, marking the achievement of the institution, organization or individual called out, and links to more details. These milestones provide readers a guided walk from the origins of the movement in the "cultural amniotic stew" of the 1960s. The tour passes through decades of steady formative work amidst disdain and restraint of trade from regular medicine. 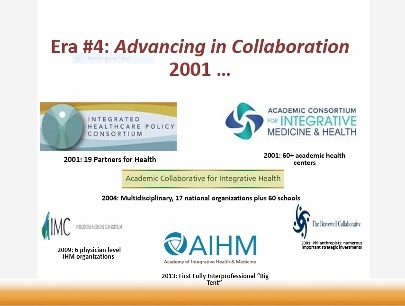 We move through a phase of "non-integrated integration" and into multiple emerging collaborations. 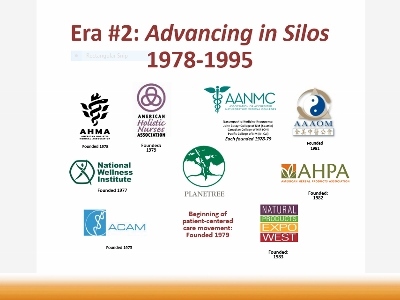 Today we see evidence of leadership by the movement amidst an incipient convergence with the nascent efforts of progressive leaders of the dominant school of medicine to shift the reactive medical industry toward a focus on creating health. The book is the brainchild of well-known integrative clinic and integrative oncology consultant, author and marketer Glenn Sabin, FON's founder and author of the book N of 1 about his own cancer journey. The book was principally written by Taylor Walsh, a long-time writer and consultant in the field. 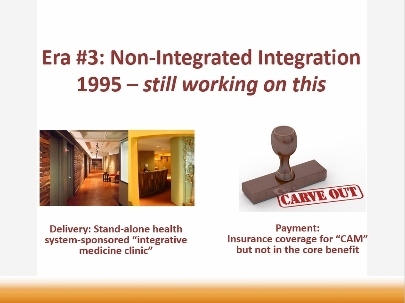 The milestones themselves are significantly based on content documented in my own Integrator Blog News & Reports and a presentation I gave on the history of the field at the October 2015 People, Planet Purpose conference of the Academy of Integrative Health and Medicine (AIHM). Sabin asked me to write the introduction to "Rise." The lines at the top of this column are the way I chose to open. Since the 2015 AIHM conference I have had a chance to refine my thinking on the history through presentations before multiple audiences. These include the Leadership in Integrative Healthcare Program at Duke University, the CAM Masters at Georgetown University, the Integrative Medicine Scholars Program of the American Medical Students Association, and as an in-service for a major foundation in the field. I worked on it further via an invited chapter for a new edition of Len Wisneski, MD asked me to write for the upcoming edition of his pioneering textbook on the field.. In the revisions, I have come to view the movement in "5 Eras." This may be a grandiose framing for a 50 year movement that wasn't even named until 20 years ago. Yet I think the framing can be useful sense-making of the 125 milestones. Here they are, briefly. 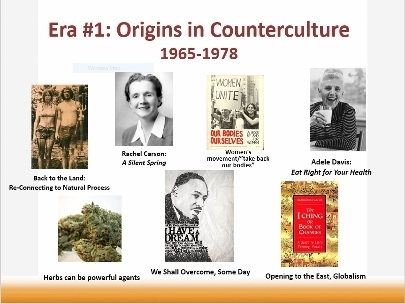 Era #1: Formation From the "amniotic stew" of the 1960s to the remarkable era of organizational creation from 1977-1979 that created engines of action to advance the proliferation of new whole-person ideas. American Holistic Medicine Association. The first new naturopathic colleges for the modern era. American Holistic Nurses Association. The predecessor to the American Herbal Products Association. The patient-centered care movement. The first acupuncture school and a national professional association within two years. And the first publications from mind-body research giants Herbert Benson and Jon Kabat-Zinn. See Milestones 1-9. 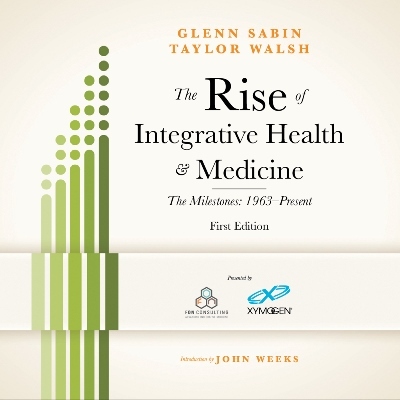 The day of the publication of "Rise" I attended the biannual conference of the Harvard Osher Center for Integrative Medicine. The center is led by world re-known connective tissue scientist Helene Langevin, MD. I shared with her that my first talk on the history I called "Connective Tissue: A Winner's History of the Movement for Integrative Health and Medicine." 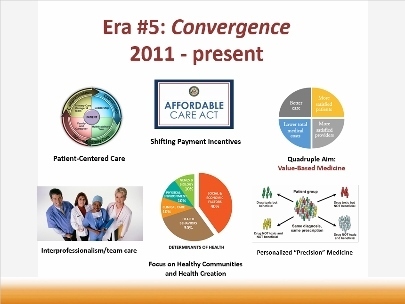 The presentation leads with magnified picture of connective tissue side-by-side with an image of multiple interconnected cells representing distinctive integrative health organizations. My point then, as now, is simple - and it is the fundamental value that Sabin, Walsh and XYMOGEN have created with "Rise". We are stronger if we see ourselves as connected - if we learn to operate as a combined and ever more expansive force for health in the United States, and globally. To be successful, we serve ourselves and mission to know and claim our history. 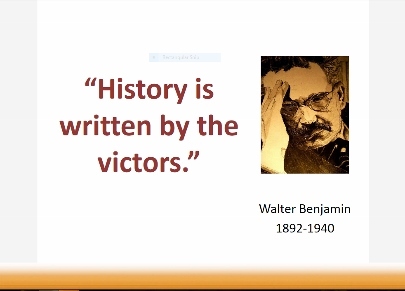 As 20th century German philosopher Walter Benjamin famously said: "History is written by the victors."